The Disabled American Veterans Chapter 68 will hold a Valentines Dinner and Dance on February 13th, 2010 at the American Legion located at 5340 8th St in Zephyrhills. Dinner is Prime Rib. Reservations only by February 10th. BYOB. Contact Jim at 813-997-3385 or Keith at 813-782-0481 for tickets. Cost is $12.00 per person and is open to the public. 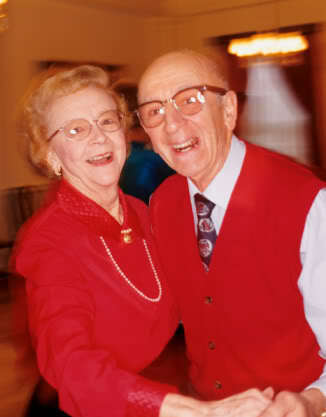 Senior’s Prom (For the 50 and older crowd) On February 13. Deanna”s Boutique Presents the Senior’s Prom on Saturday, February 13, 2010 from 6 p.m. to 9 p.m. at the Zephyr Palms Events Centre at 4645 Airport Road in Zephyrhills. Some of the proceeds from this event are to help HPH Hospice which has given over $6 Million in free medical assistance last year. Those funds come from donations and fundraisers like this. Please come and join your friends at the Senior’s Prom. There will be dancing, food, fun, silent auction, giveaways and Prom pictures. The event is being sponsored by Deanna’s Boutique and the Sandwich Spot. Tickets are available at DeAnna’s located at 39015 County Road 54 or the Sandwich Spot at 39013 County Road 54 in Zephyrhills. For more information call 813-355-4828. Looking For Good Deals?? Check Out The Flea Market Every Tuesday & Thursday! Everybody is looking for a good deal these days. Well, look no further. Every Tuesday and Thursday the deals are at the Zephyr Palms Events Centre at 4645 Airport Road in Zephyrhills in the form of a flea market to benefit the CARES Senior Center program. This event will continue until the end of March 2010. To set up a table is easy and the cost is affordable at only $10.00 per day per table. Several vendors have already gotten on board and the list keeps growing weekly. Food vendors are set up from 7:00 a.m. to 1:00 p.m. on those days with a variety of great food, drinks and snacks. You need to bring your own table. Tents are also welcome. If your tent is larger than 10×10 it needs to be fire retardant. For more information call 813-779-7256. Stop by and support the Senior Center and have a great time looking for the best deals around.